For those of us who love Certain Affinity’s XBLA hack-and-slash title, Crimson Alliance, new action is just around the corner. For those of us who love Certain Affinity’s XBLA hack-and-slash title, Crimson Alliance, new action is just around the corner. Starting this Wednesday, October 12th, you’ll be able to snag the Vengeance Map Pack which allows up to four players to continue cooperatively hacking and slashing their way through the perilous lands of Byzan. The Vengeance Map Pack contains two new campaign levels, “Dead Among Us” and “Inferno”, in which players hunt down two new enemy threats. Sadly there’s no storyline to the new maps, so while you’re playing, you’re not entirely sure what you’re playing for other than to get to the end of the level. The new levels do however bring a few new baddies to slay, and a new weapon for each class to loot. Also included is a new Challenge Map called “Fistful of Coins.” This is where the fun really comes into play with the Vengeance Map Pack. As you play Fistful of Coins, you defeat wave after wave of baddies while the baddies grow in numbers and difficulty as you progress. Each level nets you extra coins, and you’re given the choice to either walk away with your loot or try another level to see if you can bring home the big bucks. Speaking of coins, the biggest downfall to this Map Pack is that there are no weapon merchants. You have the option to essentially save up more and more money, but without merchants you’re forced to navigate back to the original storyline and buy weapons that you may already purchased before your journey into the Vengeance Map Pack. Regardless of the short storyline, the new challenge level easily makes this 240 Microsoft Point Map Pack a purchase. Even if you can’t use the coins, the ability to have an essentially never-ending level is great for replayability. 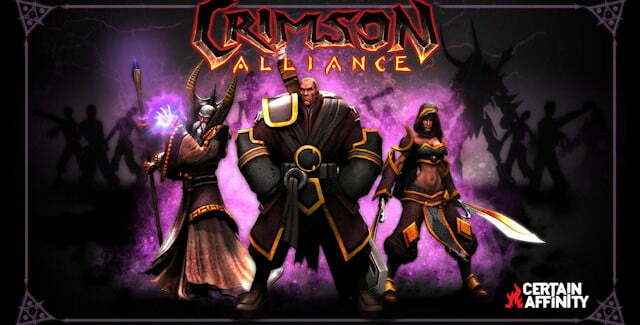 Snag the Crimson Alliance Vengeance Map Pack Wednesday October 12th for 240 Microsoft Points on the Xbox LIVE Marketplace.